Growing a business through franchising is an excellent way to increase your brand recognition and assets. It’s also a terrific way for entrepreneurs to see their investments increase. The laws regarding franchising can be complicated, however, and it takes a dedicated business attorney to move forward with your plans. The Law Office of Perry A. Craft, PLLC provides comprehensive counsel for owners looking to franchise their business, and for individuals seeking investment opportunities through purchasing a franchise. Before making a purchase, prospective owners are given a “Franchise Disclosure Document” (FDD) to read; it can be almost 200 pages long. The FDD is required by the Federal Trade Commission, and often contains complex legal jargon that may be difficult to understand for the average business owner. Furthermore, there are franchise owners out there who claim that you cannot negotiate anything in the FDD. Because the FDD is a legally binding document, it is critical that you allow a business law attorney to review it before you sign it. The “deal” you agree to verbally may not be the same as what the document says, and you have little to no legal recourse if you purchase a franchise that does not live up to expectations. Attorney craft reviews all FDDs thoroughly to ensure that you know exactly what you can expect. If you already own a franchise, the Law Office of Perry A. Craft, PLLC protects your rights during franchise agreement negotiations with outside buyers. Attorney Craft reviews and drafts franchise agreements as well as termination agreements, and handles all relevant aspects of your business. If litigation becomes a necessity, we put the full force of our firm’s resources behind our clients to ensure that their interests are protected. The Law Office of Perry A. Craft, PLLC understands the complicated natures of franchising. We offer clear, concise counsel to help you move forward. Please call 615.239.1899 or fill out our contact form to schedule an appointment at our Nashville-based office. Reading, visiting, searching or interacting with this website does not create an attorney-client relationship. Under Tennessee law, we are required to inform you that this is an advertisement. The information in this website is not intended to be and should not be interpreted as legal advice. 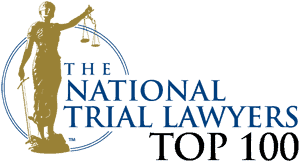 Individuals or firms reading information on this website should not act upon or rely upon this information without seeking the advice of an attorney. Certifications of Specialization are available to Tennessee attorneys in all areas of practice relating to or included in the areas of Civil Trial, Criminal Trial, Business Bankruptcy, Consumer Bankruptcy, Creditor's Rights, Medical Malpractice, Legal Malpractice, Accounting Malpractice, Elder Law and Estate Planning. There is not a specialization for immigration attorneys or immigration lawyers. The listing of related or included practice areas in this website does not constitute or imply a representation of certification of specialization. Although we are very interested in hearing from visitors to our website, we cannot accept represent you on a new matter until we know that we do not have a conflict of interest that would keep us from doing so. For us to represent you, we need an agreement in writing. Please know that until there is such an agreement, we will not be deemed to have given you any advice. .
To ensure compliance with Internal Revenue Service (IRS) requirements, we must advise you that information on this website is not intended to be used, and cannot be used, for the purpose of (i) avoiding U.S. tax-related penalties or (ii) promoting, marketing or recommending to another party any tax-related matter.